Candy paint, Garmin 3000, 154.5 hours TT Airframe: • Total Time: 154.5 Hours • Total Landings: 133 Cycles Engines: • GE Honda Aero Engines • Left Engine: 154.5 Hours / 133 Cycles • Right Engine: 154.5 Hours / 133 Cycles......more. 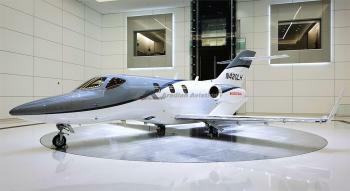 Airframe: Total Time: 11.0 Don't miss the chance to own this aircraft. Click here for more details..